The recent heat wave in Pakistan has reminded many of 2015 when the country lost hundreds of lives to the deadly wave. Larkana, a home to two million people, recorded its highest temperature when the mercury soared up to 51 degrees Celsius on May 19, 2016. This was the highest temperature city has witnessed since 1998 during any May. On the other hand, things were not so cold in Lahore too. The capital of Punjab province that has a population of 15 million was declared the hottest area in the country when the temperature hit 47.4 degree Celsius on May 24, 2016. It was the hottest May ever in Lahore since 1954. Fortunately, the mercury hasn’t climbed up to the same levels as it did during last year in the same period. Thanks to heavy showers and dust storms that have significantly reduced the temperature across the country. But this doesn’t mean that the worst is over. Once the rain system moves away, the temperature is likely to surge up again and this time, it will bring humidity too. According to Naseer Memon, the chief executive of Strengthening Participatory Organization, lack of awareness was the key reason behind the high number of death in 2015. Whilst the figures from the Provincial Disaster Management Authority Sindh divulged that, of all the deaths in Karachi, 40 percent occurred because of direct sun exposure and to your surprise 60 percent occurred at homes. Reason being, majority of the houses in Pakistan are poorly constructed and have inadequate facilities to beat the heat. Different cooling tactics and proper air conditioning alone won’t do the job. So what should you do to evade this enormous health threat? Double glazed glass windows is an ideal solution for homeowners seeking to keep their buildings cool during summers and warm in winters. The double glazed glass windows have an airtight construction that serves as thermal insulation and reduces the incoming and outgoing heat flow. It lowers your energy bill by keeping the internal temperatures to minimum. This makes it easy for you to cool down or heat up space without consuming much energy. • It ensures that noise level stays low. • It provides great safety as compared to standard single pane windows because they are not so easy to break. Additionally, it aids you improve the security of your home. 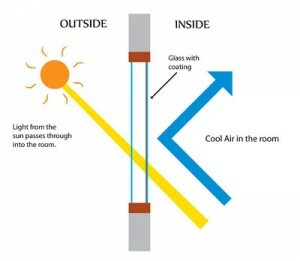 • Since double glazed windows cuts the amount of heat and sun from entering your space, so it reduces sun damage to your furniture, carpets, painting, and more. Due to these benefits, AmerAdnan Associates always recommend its clients to opt for double glazed glass windows. Thermal insulation is another useful way to keep your buildings or houses cool during the summers and warm in the winters. Basically, it’s a material that ceases conduction. But how would you insulate an edifice to maintain moderate temperatures indoors? This material has unique attributes and properties. It’s durable, lightweight, and resilient, and has a unique amalgamation of lasting sustainability and thermal resistance. It also efficiently combats pollution and noise. To top it off, it provides great resistant against water too. The ideal time to install polyethylene foam is when you are constructing your home. As you can place the foam within the walls and cover it with cement. Cost of Polyethylene Foam Insulation: The projected expense of polyethylene foam for 1 kanal (5445 square feet) house is 16, 988.4 Rs, if you like to have 2 inch thickness. Polyurethane spray effectively seals construction cracks that makes it a supreme waterproofing and air sealer agent. This makes it a key component that has the potential to add durability to a structure. It is why polyurethane spray is preferred for projects that are eyeing to achieve high levels of energy efficiency. Owing to its high performance characteristics and R-value for every inch. Cost of Polyurethane Spray Insulation: The cost for polyurethane spray varies significantly as every homeowner has different set of requirement when it comes to choosing thickness, density, etc. The polyurethane board is more dense than polyethylene foam and thus provides uniform temperature all over the space. Architects and builders prefers to install polyurethane board during the construction process where these boards are placed on the roof and within the walls. Once these boards are in place, then they are covered with concrete or cement. In case, you have missed the opportunity to install the boards during construction, you can still add them to an edifice and top them with cement later. This, however, will cost you more. 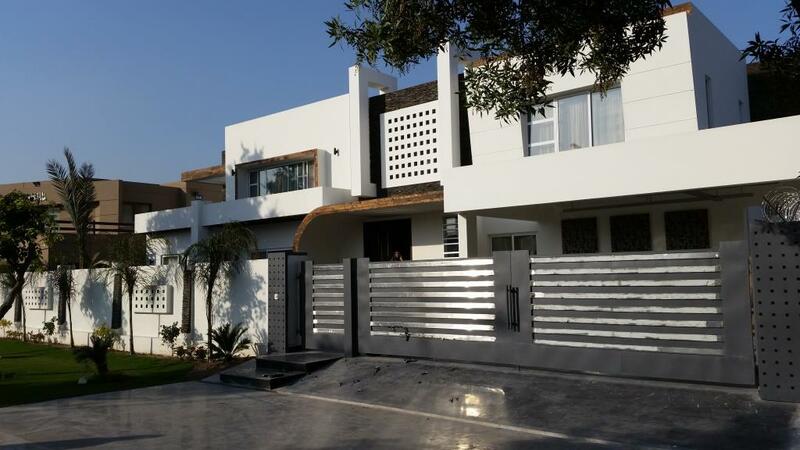 Cost of Polyurethane Board Insulation: The estimated cost of laying polyurethane board in 1 kanal (5445 square feet) house is around 42, 471 Rs, if it’s as thick as 6 inch. Thanks to these countless benefits, architecture companies in Pakistan advise their clients to use double glazed glass windows and thermal insulation when constructing houses. As it will not only save them from heat wave in summers and ice cold breeze during winters, but also bring their electricity and gas bills down.